Already out of the Final Four picture, the National University Lady Bulldogs put an end to the University of the Philippines Lady Maroons’ chances with a five-set win, 25-21, 26-24, 17-25, 25-23, 17-15, at the SM Mall of Asia Arena. 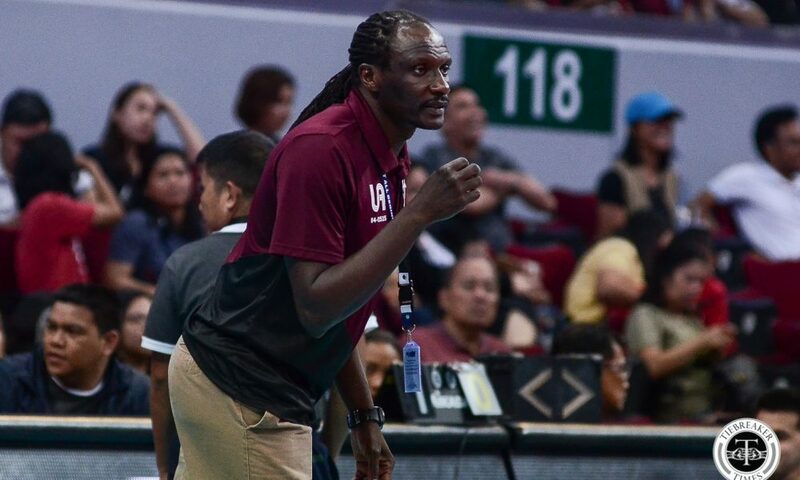 UP’s record deflated to 6-7, officially booting them out of the Final Four race and propelling both UST and FEU into it, along with Ateneo and La Salle. NU, on the other hand, improved their record to 4-9. The Lady Bulldogs broke away from a tight first set and took a commanding 20-14 lead after back-to-back Joni Chavez aces. 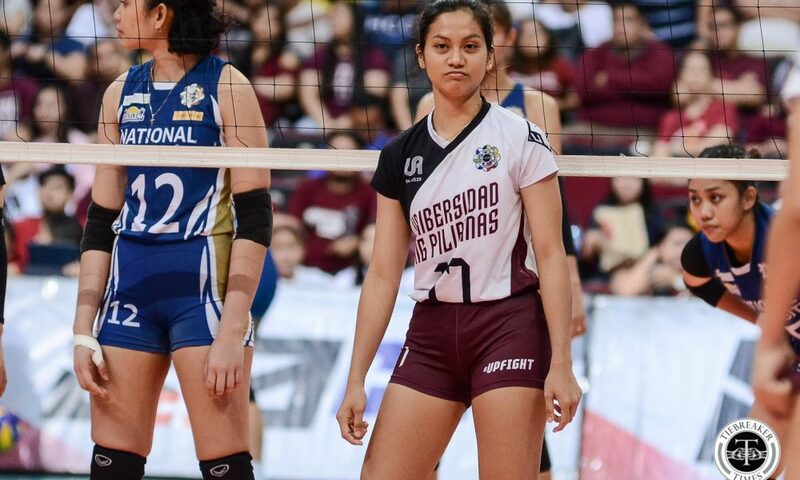 UP tried to come back, coming within three, 24-21, but NU’s Ivy Lacsina responded immediately to cap the set. UP then gained the inside track on the second set, as Jessma Ramos converted a running hit for a 24-23 advantage. 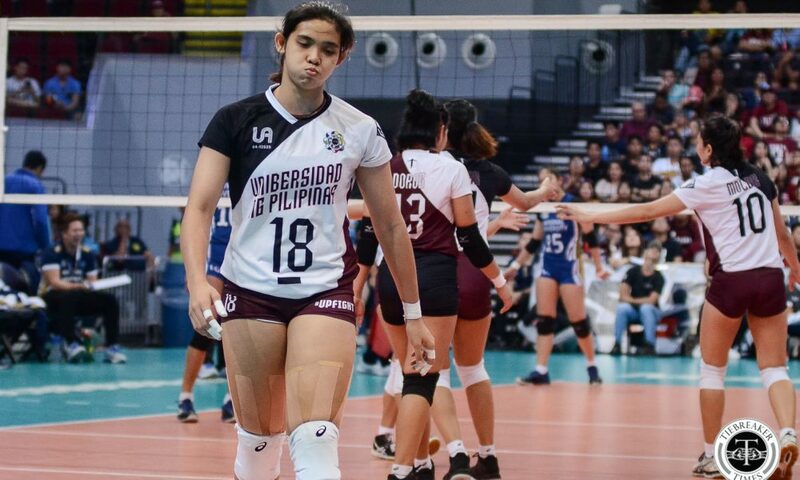 The Lady Bulldogs proved clutch, though, with Princess Robles rolling an off-speed hit over two blockers to force a deuce. 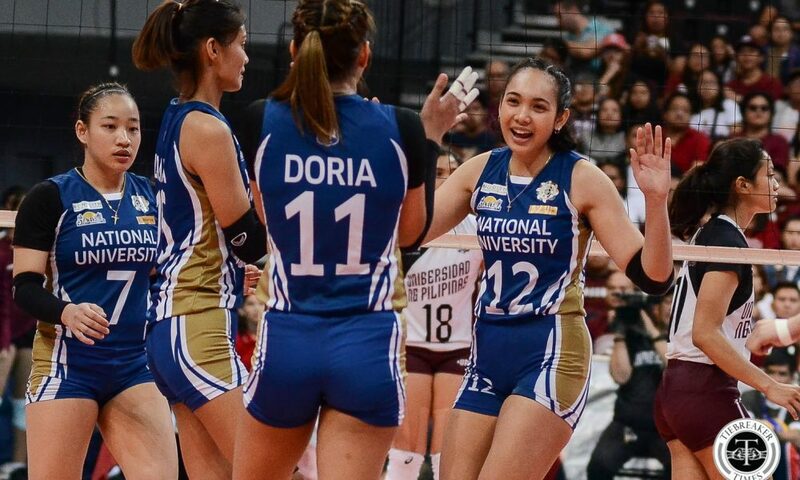 From there, Audrey Paran and Gel Luceño put on the finishing touches for NU. The third set finally had UP gained control. 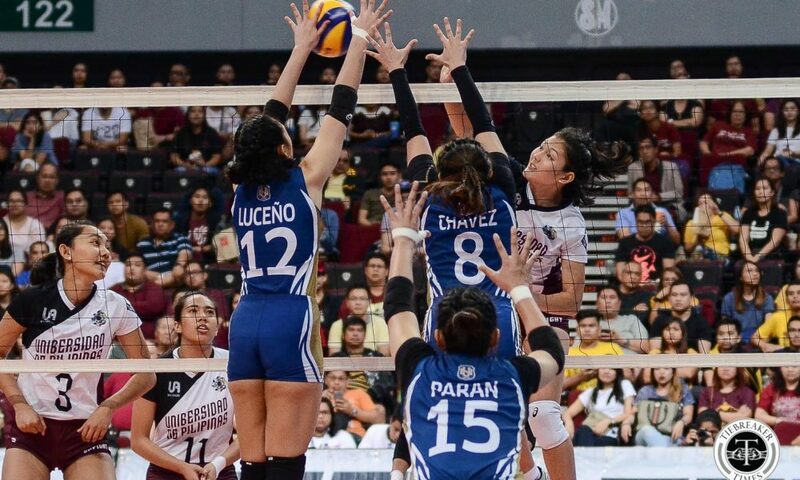 As they retooled their rotation, the Lady Maroons exploded for an insurmountable 23-15 lead, extending the match. 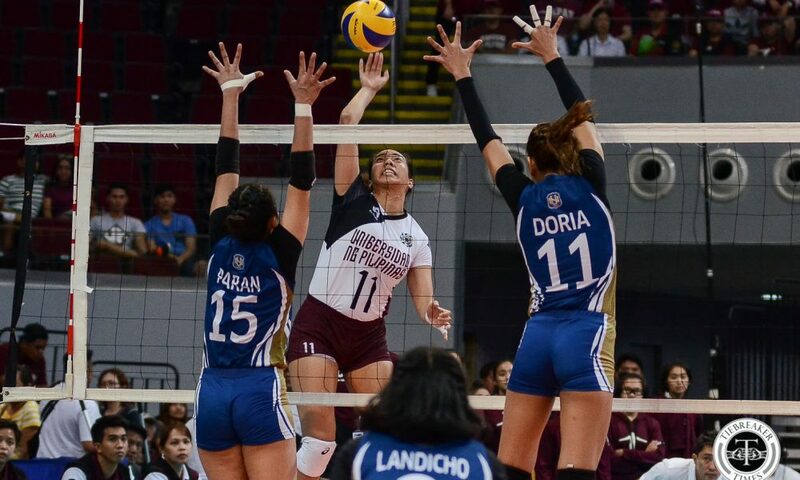 A back-and-forth fourth set swung the Lady Maroons’ way when they rattled off a 3-0 run and took a 23-21 lead. NU tailed UP, even coming within one, 24-23, with UP giving away two straight errors. Tots Carlos then saved UP, knocking down a backrow hit and dragging the match to the fifth set. 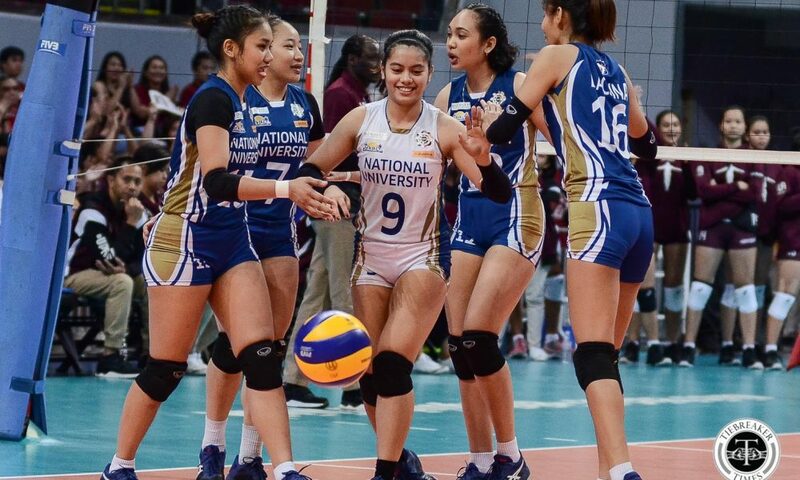 The Lady Bulldogs swerved from a tight decider, as serve specialist Bingle Landicho keyed a run that gave them an 11-8 lead. 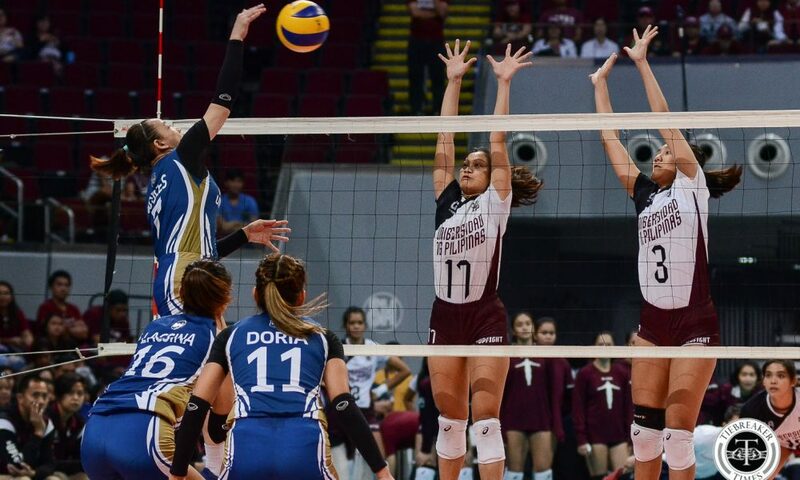 UP stormed back, rattling off a 3-0 run and knotting the match. 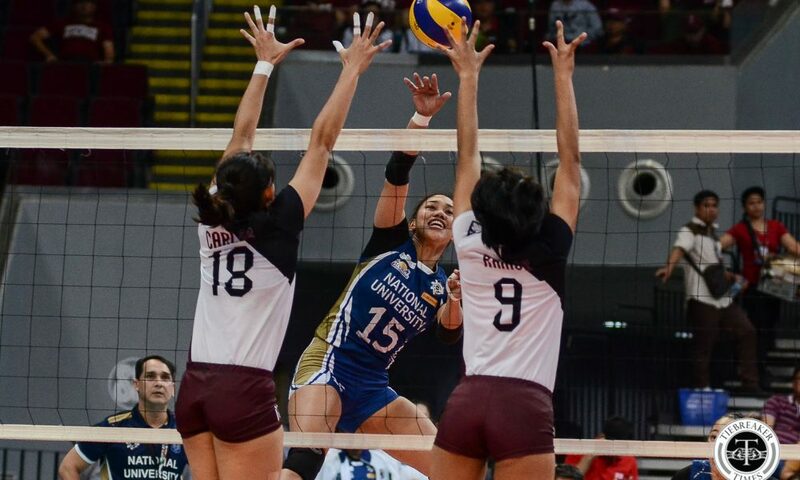 Princess Robles replied with two attacks to give NU back the lead, 13-11. Carlos and Ramos then tied the match again, before Robles put NU at match point. Paran sent an attack long, which Carlos followed with a cross-court kill. The match ended with a UP error and a Paran redemption spike. 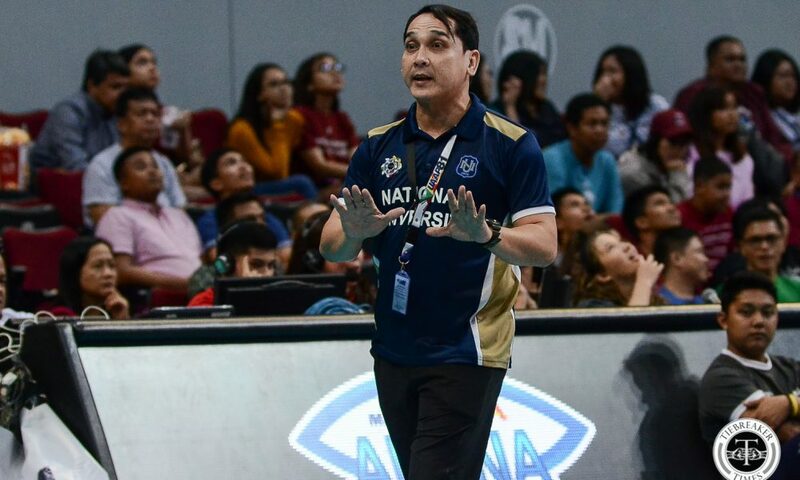 NU head coach Norman Miguel admitted that the match took a turn in the third set. “Hindi madali ‘yung game. Akala namin magiging madali noong nakuha namin ang first two sets. Siyempre, lalaban pa rin ang UP,” said Miguel. 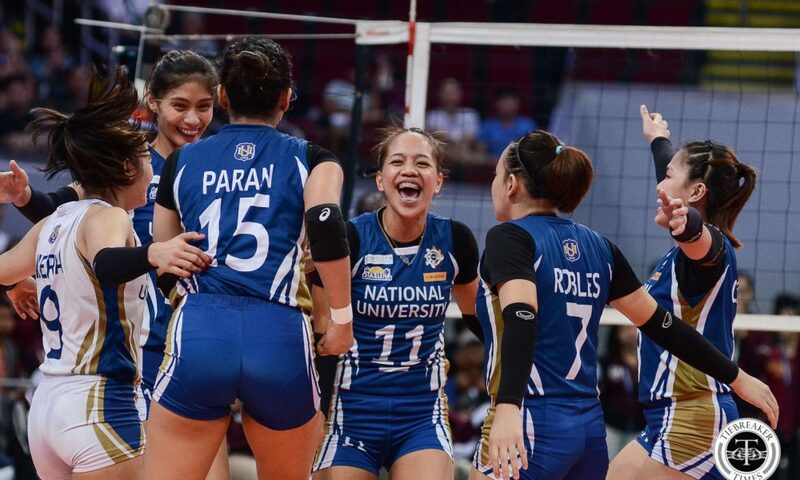 “With this result, masaya ako kasi may lumabas na character sa team namin. Ang team namin, angat-baba, angat-baba. Ang usapan namin i-protect na lang namin ang character ng team. Sabi lang namin, itong last 2 games na ‘to, kung manalo, manalo. 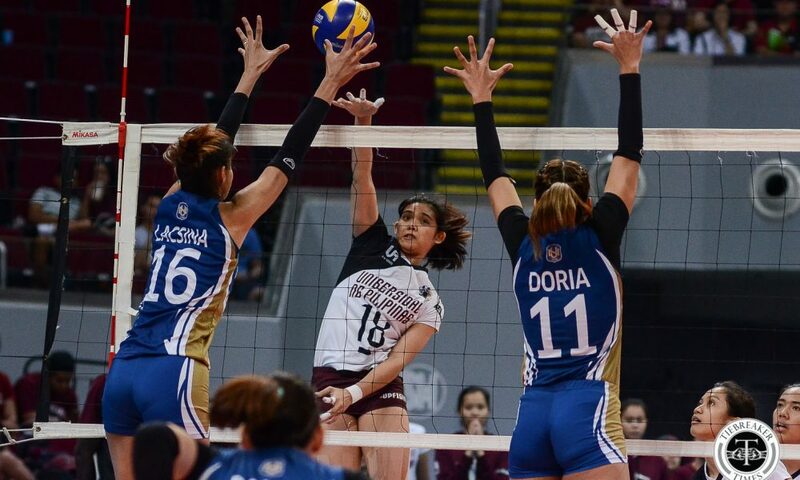 Kung hindi basta may best performance tayo,” the first-year Lady Bulldogs mentor added. Robles finished with 20 points, while Paran added 15. NU libero Jennifer Nierva provided a terrific backrow presence with 30 digs and 27 excellent receptions from 58 attempts. Carlos led UP with 18 points, while setter Ayel Estrañero added 11 points to go with 24 excellent sets. Both teams finish their season on April 27 at the FilOil Flying V Centre. 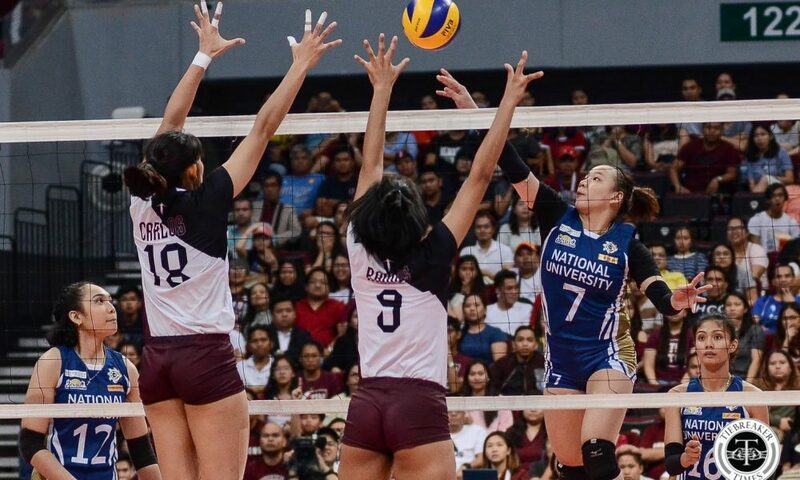 NU take on the University of Santo Tomas Tigresses (8-4), while UP face the Adamson University Lady Falcons (1-11).